How do you make math fun? With puzzles, games and interesting articles my students can check out anytime. With online resources, math workbook reviews, great sites and book reviews for parents. New articles and entries are added regularly. Stay tuned for more fun math! Women are extremely marginalized in science, technology, engineering, and math (STEM) careers. The question is, why? Why do women make up half of the workforce, but fewer than a quarter of STEM careers? 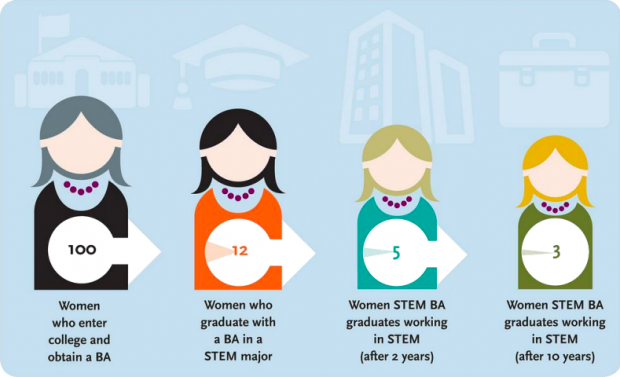 Why do few women who receive STEM degrees actually go into a STEM job? Why are the amount of girls and boys who like math and science in elementary school equal, but twice the amount of boys than girls like math and science in middle school? We can’t really explain why gender differences in STEM exist. However, there is a great need for an improvement to encourage young girls to pursue these careers in American society. How much do you know about the industry? Take the Quiz! I interviewed 14 women working in STEM professions. I had acquired an overwhelming amount of personal stories and opinions, these are a few of my favorite snipits of the most inspiring interviews. The rain echoed from the metal roof and old windows. The busy streets of Paris were silent, under the heavy rain. The street lights glowed through the dark night, and thick air. The small arrondissement was dark, everyone had curled up under their warm covers, waiting for the storm to pass. But one small window glowed in the night. A soft glow emanated from an old window, framed in deep crimson curtains. In this room, sat a small girl, swaddled in quilts and blankets, who sat in a small chair, reading. Reading under the light of three small candles. She read all night, she read until she was caught, and her books, candles, and quilts were taken away from her. She read until she was forced to go to bed. Don’t be confused by the computers we use today. Harvard “Computers” (shown at left) in the late 19th and 20th centuries referred to a group of women who analyzed and categorized star data at Harvard University. Also known as Pickering’s Harem, because of being hired by Edward Charles Pickering, this group of skilled mathematicians processed astronomical data. Frustrated with his male assistants, Pickering said his maid could do a better job. So he hired his maid, Williamina Fleming, who actually did a much better job. Her success prompted Pickering to hire more women for his calculations and classifying. Many countries accept the tradition of mistreating and under-representing women. In third world countries, like Afghanistan, women are expected to stay home, stay ignorant and uneducated, follow the men's rules, and follow tradition. However, underground schools, fearless women, and an overwhelming amount of global supporters are breaking these traditions. Can We Prove Gender Bias? It’s hard to explain and prove why gender bias exists. There are so many other factors resulting in less women in science. It’s hard to know if there even is a bias, or maybe women just aren’t as interested in these fields, or their lifestyles lead them away from leadership positions. We can show that there are different outcomes between men and women. Men are usually hired over women, fewer women reach long term positions, a large gender gap exists in publications, but those are all outcomes, there has been no way to eliminate all other variables, and solely look at gender. You cannot find two identical people—same interests, intelligence, lifestyle, goals, etc.—that are differentiated only by their genders. This situation does not exist in the real world. However, a new study from Yale University has proved the there is a “natural” gender bias, and they have put it to the test. As a parent, I had reasonable goals for my children. I wanted my two daughters to succeed in school, go to college, have a good job, a good life. As any parent, we want our children to do well, but how to do we encourage this behavior? My girls are out of college, and certainly don’t need their mommy anymore, but I always ask myself, what could I have done better? When I was asked to write about my own experiences pertaining to women in math and science, I didn’t have much to offer, but I do have some advice. This is what I have been trying to do to my daughters for the last 27 years. 17,000 women and girls stormed twitter, posting thousands of pictures in May of 2015. 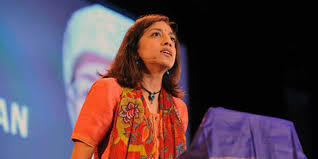 It all started with an uproarious interview on NPR with Shrinivas Kulkarni, astrophysicist. He said science is just “boys with toys.” Out of the whole interview, those three words was a reminder that gender bias stereotypes still exist. Women from around the world posted pictures with their equipment, tools, and “toys” they use everyday. These thousands of photos show how many women are involved in science, the critical roles they are playing, and what science is all about. Science is not all about studying by a textbook, but experimenting, playing and getting your hands dirty. Changing Definitions is tackling the issues worth changing in this world. This month’s definition, the scientist. We often think of a scientist as a white man, in a white lab coat. That American man has glasses and is working with test tubes while peering into the occasional microscope. There are many issues with that statement, and with the unnoticeable natural bias all Americans have. Whether you like it or not, this, unfortunately, is what society has come to. "Math Made Easy" is a series of workbooks for the elementary school student. They have 6 books, one for each grade from Kindergarten to the 5th grade. These workbooks are great to use over the summer as they compile everything from your previous grade into practice problems and reviews skills they learned in school. Best known for her roles as Winnie Cooper on The Wonder Years and Elsie Snuffin on The West Wing, Danica McKellar also graduated in math. She went on to educate and encourage girls about math. She wrote four books, to encourage middle and high school students to succeed in math. She has a BIG focus on girls in math, and includes "smart girls" resources, tips and tricks for homework and tests and inspiring stories from Danica and girls who read her books. In 1939, Arthur Stone created the HEXAFLEXAGON. Stone really did come from England, his new American paper was too wide for his old English binder, so he cut the edge off. Fiddling with strips of paper, he made the hexaflexagon. A hexaflexagon is made up of equilateral triangles, and only equilateral triangles will work. Depending on how many triangles you use, equilateral triangles create a series of endless combinations.